Just as evolutionary as the entire automotive industry has been over the past several decades, so has the luxury vehicle segment itself. What started out as a small and exclusive group of automotive brands, has expanded into nearly every manufacturer’s lineup. While certain name brands are still known for providing only high-end luxury cars and SUVs, such as BMW and Mercedes-Benz, they are now competing with domestic automakers and their more budget-friendly luxury models. It may be true that a brand like Ford or Chevy will never be in direct competition with a brand like Maserati, but with Chevrolet recently outdoing Tesla with the new addition of the all-electric Bolt, there is no telling what can happen in the future. Perhaps one of the most surprising changes to the automotive sales climate in the United States over the past few years, is also one of the most exciting – luxury pickup trucks. 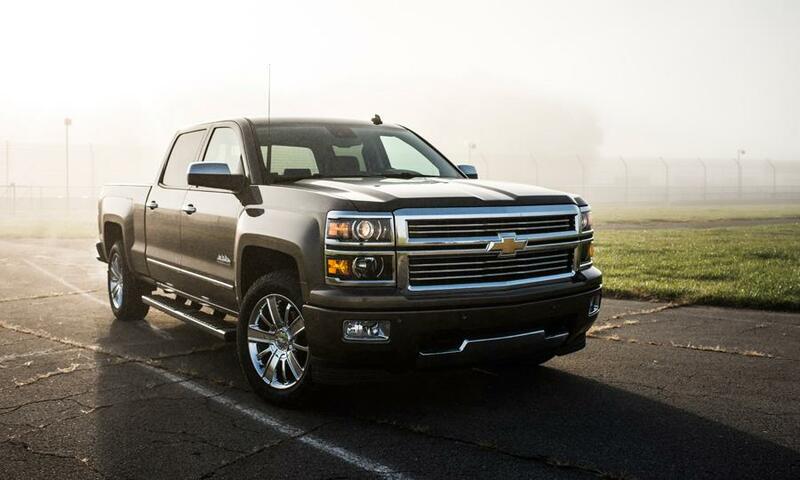 When we say luxury pickups, we aren’t talking about your average used Chevy trucks, but high-end models featuring the latest and greatest that the industry has to offer. Back in January of last year, Forbes reported that luxury pickup trucks were the best-selling models in the luxury car segment. Perhaps more surprising, is that the top selling luxury pickups belong to domestic brands like Chevrolet. TrueCar.com reported that in 2015, five of the top ten vehicles sold in the United States for more than $50,000, were pickup trucks. As shocking as that was for both industry experts and economists alike, it means one thing for drivers looking to purchase a great used pickup in 2017 – there are plenty of premium options available. Buyers flocked to dealerships in 2015 and 2016 to cash in on the latest trend in luxury vehicles, which means that today more used options are becoming available. Packed with both brawn and beauty, these high-end pickups offer the same premium level of luxury as their sedan counterparts, but with the added bonus of powerful capability and dependability. Pickup truck drivers were tired of having to choose strength over luxury, so big name brands made it so they no longer have to. Luxury pickups may be more popular today than ever before, and you can cash in on that fact by purchasing a high quality pre-owned luxury truck at DePaula Used Cars today. If you are considering a used luxury pickup truck, take a look at what some of the different automotive brands offered as new options in 2016. A lot of these trucks are making their way back to dealers as used models in 2017, and are a great value for those who want high-end everything, at a lower end cost. 2016 Chevrolet Silverado 1500 High Country: Everything about the Silverado 1500 High Country model screams luxurious power and performance. Loaded with amenities and features to enhance your experience behind the wheel as much as your capability needs, this is one luxury pickup no one saw coming. Articulating running boards automatically retract under the truck when you don’t need them, and reappear as an added foothold when you do. This class-exclusive feature is perhaps one of the most uniquely premium aspects of this particular pickup from Chevrolet. Other luxury features include premium leather seating surfaces, High Country logos on the headrests, an 8-inch MyLink color touch screen display, a Bose premium sound system, heated and ventilated seating, and more. Underneath the hood, this powerful luxury truck comes standard with a 5.3-liter EcoTec V8 engine capable of producing 355 horsepower and 383 lb.-ft. of torque, with the strength to tow up to 7,200 pounds. The crew cab features the same interior space as a sedan, and the standard box means you won’t have to sacrifice utility for comfort. The 2016 Silverado High Country is the definition of what a luxury pickup should include, and it’s no wonder why so many new and used shoppers are turning to this particular make and model in 2017. 2016 GMC Sierra 1500 Denali Crew Cab: The 2016 Sierra Denali is GMC’s entry into the luxury pickup truck segment. Starting new at $51,190, the Sierra Denali is loaded with standard features that make premium automotive enthusiasts weak in the knees. With a high-end crafted interior cabin, the Sierra Denali features seating for up to five passengers, Wi-Fi hotspot connectivity, and premium leather appointed seating surfaces. A heated steering wheel, magnetic ride control, and heated and ventilated seating ensures that both the driver and passenger are more than comfortable. Powered by a 6.2-liter V8 engine, the 2016 Sierra Denali boasts a horsepower rating of 420, hill descent control, and an automatic locking rear differential. Drivers who crave ultimate luxury in their pickups can opt for the Denali Ultimate model, which includes 22-inch chrome wheels, chrome tow hooks, lane keep assist technology, Intellibeam headlamps, and a forward collision warning system. Regardless of whether you find a used Sierra Denali or Sierra Denali Ultimate to purchase in 2017, one thing is certain – your pickup is one of the most luxurious on the road. 2016 Ford F-150 Limited: When Ford first unveiled its limited edition of the popular F-150 pickup truck, it was touted as being the most luxurious in its segment. Standard features on new F-150 Limited models included a 360-degree camera system, adaptive cruise control, remote tailgate release, quad-beam LED headlights, and massaging front seats. To say that this truck was built with the high-end discerning driver in mind is an understatement. On the exterior, Ford adorned the F-150 Limited model with exclusive design elements like a raised LIMITED logo on the hood, a satin-chrome grille, 22-inch wheels, and added Mojave leather seating surfaces to the five-passenger interior cabin. Outfitted with the standard 3.5-liter EcoBoost V6 engine, this F-150 Limited model could tow up to 10,100 pounds, and had a horsepower rating of 365. Also included was a segment-first Pro Trailer Back Assist system, making hauling large loads easier and safer than ever before. Starting just below $60,000 new, pre-owned pickup truck buyers should be able to snag up a gently used version for a more reasonable price in 2017. Whichever luxury pickup truck you want to buy used this year, be sure to come down and check out what is available at Used Cars at DePaula Chevrolet. With plenty of used trucks making their way to our lot each day, you will have no problem finding the exact used luxury truck you have your heart set on buying.